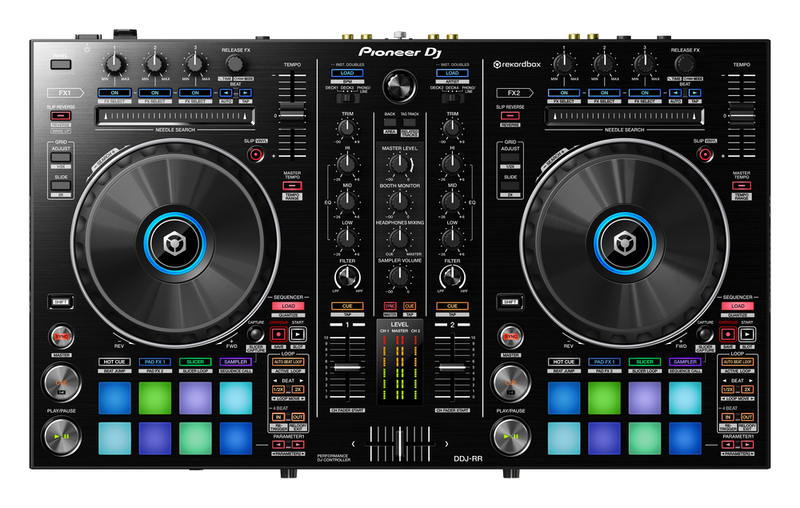 The Pioneer DDJ-RR features a new PC master out that means you can route your DDJ-RR through your computer speakers. 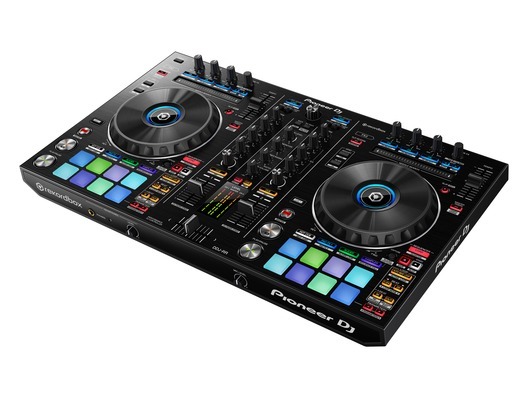 The Pioneer DDJ-RR features 8 customisable multi-coloured performance pads for each channel that you can use for hot cues, effects (where you can create effect chains) and slicer. 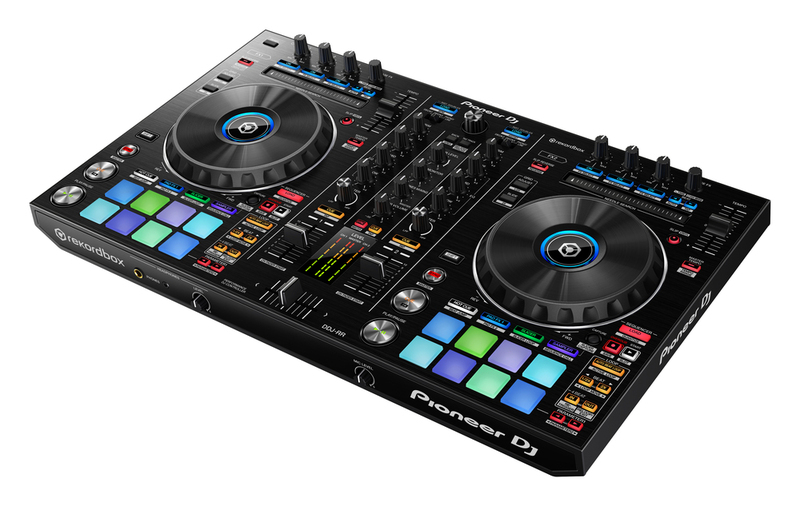 With the Pioneer DDJ-RR you can also use the deck select button which allows you to select between 4 decks! The DDJ-RR is the little brother of our professional controllers for rekordbox dj, the DDJ-RZ and DDJ-RX. It has a compact design and intuitive layout with large jog wheels, illuminated on-jog indicators and tactile Performance Pads. You get a free rekordbox dj licence key bundled with this controller. Simply activate your licence key, connect the controller and start DJing. Large jog wheels with an illuminated On-Jog Display provide responsive scratching, and let you know the status of each deck at a glance. 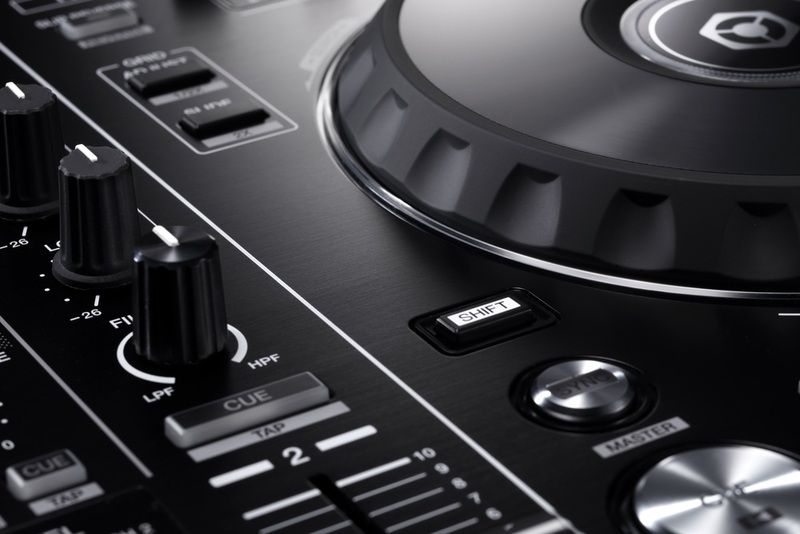 Plus the DDJ-RR has a durable, brushed aluminium top plate just like our flagship controllers and NXS2 set-up. Set colours for your Hot Cues in rekordbox then trigger with high quality rubber pads. Or use the Performance Pads to bring Pad FX, Beat Jump and Slicer into the mix. Create sample sequences on the fly using the Sequencer, or select and play sequences stored on your computer directly from the hardware thanks to the Sequence Call button. Plus with Sequence Load you can load a sample sequence to the deck and scratch. Slip Mode silently continues playback during a loop, reverse, or scratch, then brings the music back at the right point. And using Release FX you can exit complex FX patterns by selecting vinyl brake, echo or back spin and twisting the dial. 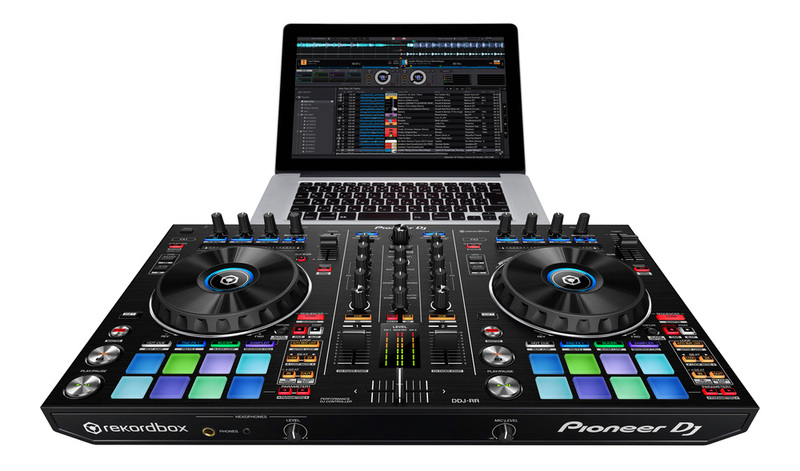 The DDJ-RR features the same circuit for master and booth outputs as the pro-standard DDJ-RZ to ensure faithful reproduction of audio sources and clear, powerful sound. Take this controller with you wherever you go thanks to the easy grab handles and lightweight design. For simple plug-and-play connectivity you can choose between USB or AC power. Balanced XLR outputs let you connect to a professional PA system, while a booth and 2 headphone outs allow you to monitor your mixes. Or use the DDJ-RR as a mixer with multiplayers or turntables using the line and phono inputs. Connect a computer via the PC Master Out to play back your music through its internal speakers or a connected desktop speaker. You can use the controller for your headphones at the same time. Needle search provides a touch strip for intuitive and fast searches. Jump to any part of a track with one touch. See the master out and channel levels at all times.